We know what you're thinking, "Why doesn't my bookcase look like that?" Well, we have good news and bad news for you: While we might not be able to come to your house and style your shelves for you (we're sad about it, too! ), we can do the next best thing. "What's that?" you might ask. 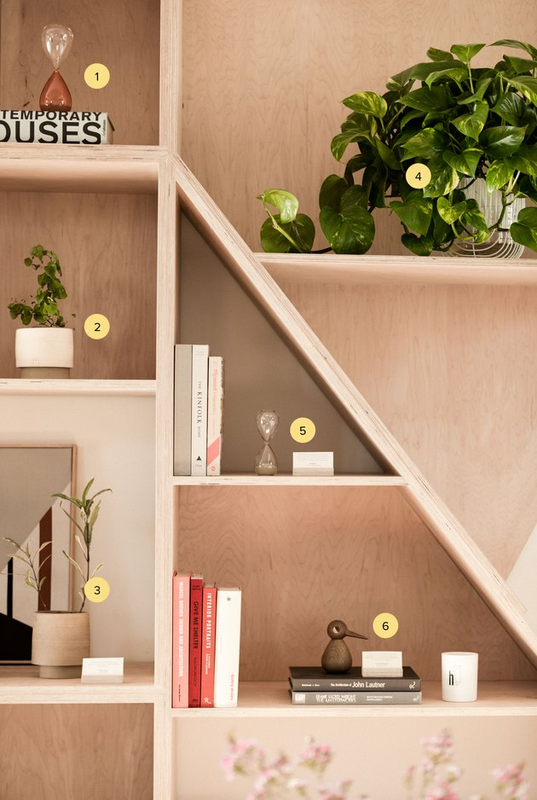 Luckily for you, we are legitimately bad at keeping secrets and we can't wait to tell you where to snag every single item you see in the Hunker House, starting with our custom bookcase. So embrace your inner Ariana Grande and sing "I see it, I like it, I want it, I got it" as you scroll ahead and shop these Insta-worthy, shelfie must-haves. Whether you place it on a shelf or hang it in a corner, this handmade stoneware bell is a sight for sore eyes. The beautiful wood knocker and hemp rope will add a bit of texture to your bookcase, while the single hand-painted full moon will incorporate a pop of color. We absolutely love the versatility of this black number. Sleek and minimal, its dimensional frame can stand or lean depending on your mood. Use it to display your latest hoard of shelter mags or your fave vinyl records. Speaking of your vinyl collection, every music lover needs a way to store their music. And what better way to stash your collection than in this attractive plywood crate? And since no one wants to waste time searching for their favorite Miles Davis album when they could be listening to it, make sure to keep your tunes organized with these birch dividers. The laser-cut panels will categorize your records alphabetically so you can quickly find whatever artist you're in the mood for. 5. Sanso Planter, pricing upon request. You won't find this beauty on the Sanso website, but the subtle conical shape of this ceramic planter is worth the trip to buy it in person, or (for those who don't live near Los Angeles) the effort of a quick email. 6. Sanso Planter, pricing upon request. Or, this bell-shaped planter is a nice option, too. Made by hand in California, this black ceramic planter will make one lucky plant very happy. And the unglazed finish will look gorg sitting next to more polished accents in your bookcase. Add extra interest to your ceramic planter collection with a shorter option showcasing a two-tone color combo. 9. Sanso Planter, pricing upon request. 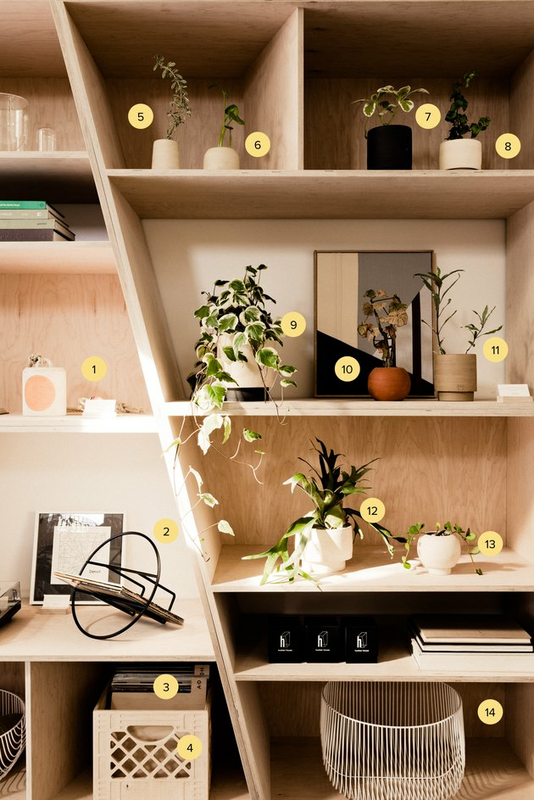 Styling your shelves is all about creating visual interest. In order to do that you need to add dimension and variety — this goes for your decor and greenery, too. Which means you need one or two larger planters, like this black-and-white beauty, to accommodate bigger plants. 10. Sanso Planter, pricing upon request. Throw in a spherical planter like this rust-hued gem to keep things interesting. We liked this planter so much that we decided to get another one in a different color. 12. Sanso Planter, pricing upon request. Who needs tall, dark, and handsome when you've got this short planter gracing your shelf? We do. We need them both — the more options the merrier. 13. Sanso Planter, pricing upon request. Similar to the spherical planter above, this orb stands on a little base. This sculptural wire basket is almost too pretty to use for storage. Measuring the passage of 15 minutes, this glass gem isn't your ordinary hourglass. 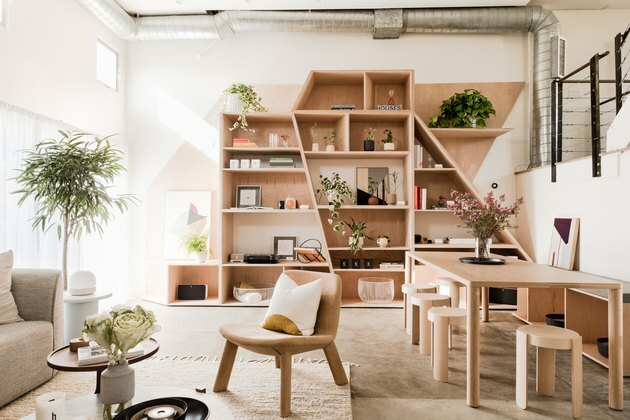 Made by Danish design brand HAY, the organic shape is a nice complement to the crisp lines of the custom bookcase. You're not seeing double: this is the same planter as number eight. ICYMI, we are huge fans of Sanso ... this is the same planter as number 11. A smaller take on the larger basket above, the size of this mini option from Bend is ideal for decking out a bookcase. We love it almost as much as the verdant philodendron that sits inside it. One hourglass is pretty cool, but two is so much better, especially when its small-size measures the passage of three minutes. This will come in handy when you want to time your nightly ab workout. Handmade in Denmark from Danish oak wood, this tiny bird is the perfect way to lighten up the mood with a hint of whimsy. The body can be turned upside down and the head can be tilted or rotated so you can change up its look with every season. What Is the Average Space Between Shelves on a Bookshelf?